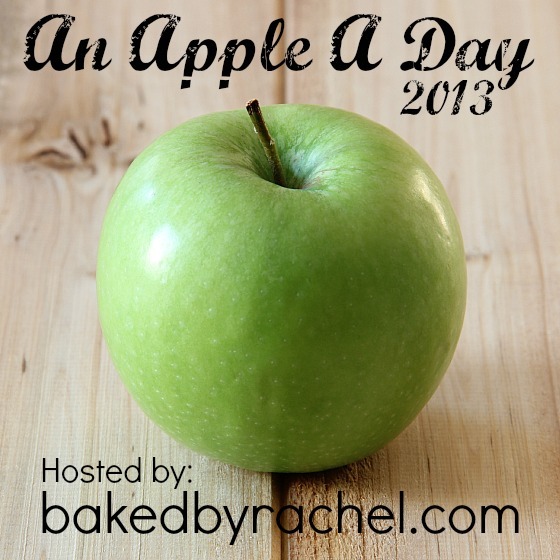 Have you been following along with apple a day party? I wanted to make sure you saw all of the deliciousness that took place this week plus a few other things! But let’s chat first, K? So we’ve been to the apple farm twice now but I forsee having (and wanting) to go back again this week. I’m limiting myself on the bag sizes until my absolute favorite apple comes out… cortland! I have to wait a few more weeks for them. The anticipation is growing! During bi-weekly question night on Facebook this past week, honeycrisp apples were the overwhelming favorite. I don’t think I’ve ever seen one in person before and I definitely haven’t ever had one! Do you have a favorite variety of apple? Instead of only making new apple recipes, I decided I must make some favorites from year’s past too. So far this week I made apple snickerdoodle cobbler. A total must make for apple crisp lovers. 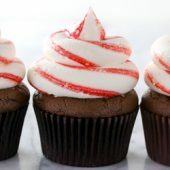 The snickerdoodle topping makes this super special and delicious. And yesterday I whipped up a batch of apple cinnamon fruit leather. We managed to wrap and store them all for later. Not a single one eaten yet. Impressive! They’re easy to make and a great homemade option for a lunchbox treat! I highly recommend them (as do my kids). Thor: Definitely a must watch if you like all of those super hero/action/comic book based movies. Lots of action and a handful of totally funny moments too. I hate to admit this, but I returned a Ryan Gosling movie back to Netflix without even watching it. I just couldn’t get behind the concept of the movie, and not to mention that I wasn’t really interested in seeing him and Eva Mendez together on screen. Just meh. The International: a really good watch. It’s got suspense, action and drama. If you like that kind of thing, totally worth watching. The Mr and I kind of disagree on GI Joe Retaliation. I thought it was pretty good. He, on the other hand, thought Terminator Salvation was better. Clearly he’s wrong because I couldn’t even keep my eyes open during Terminator. Something we did agree on… Olympus has fallen. Very good and a definite must watch if you like action movies. Apparently action movies are the trend this month. Now how about some apple recipes? I kicked off the week with a New England classic. 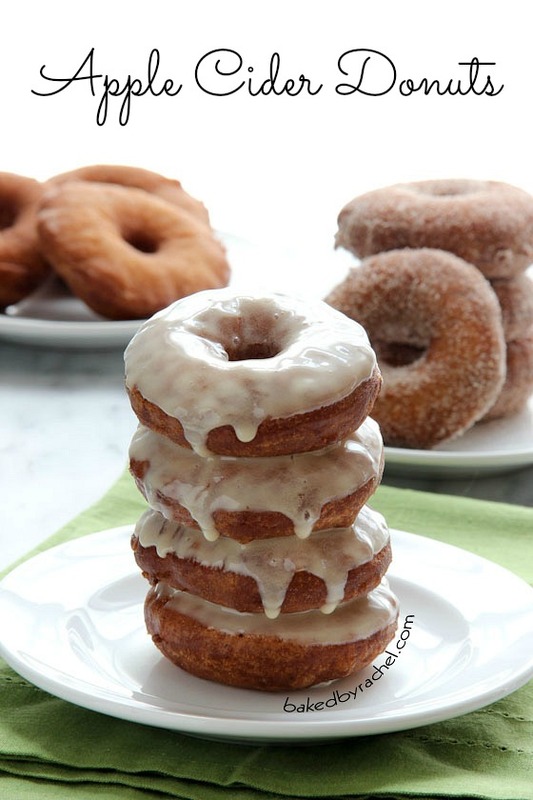 Fried (NOT BAKED – because that would be very very bad) apple cider donuts. 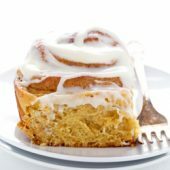 Three tasty versions to choose from; plain, coated in cinnamon-sugar or dipped in caramel icing. 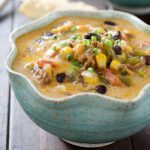 Super easy to make and even more delicious! 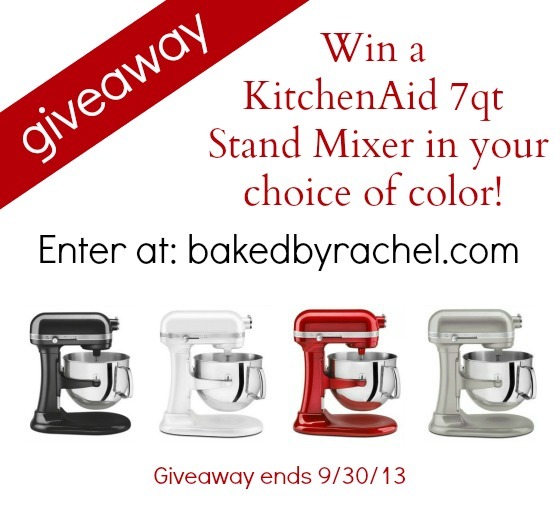 A KitchenAid giveaway!!! 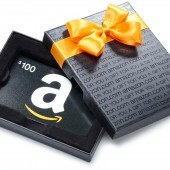 If you haven’t entered, be sure to click on over and do just that! Four gorgeous colors to choose from, a HUGE bowl and a powerful motor. What more can you ask for?! GO ENTER. 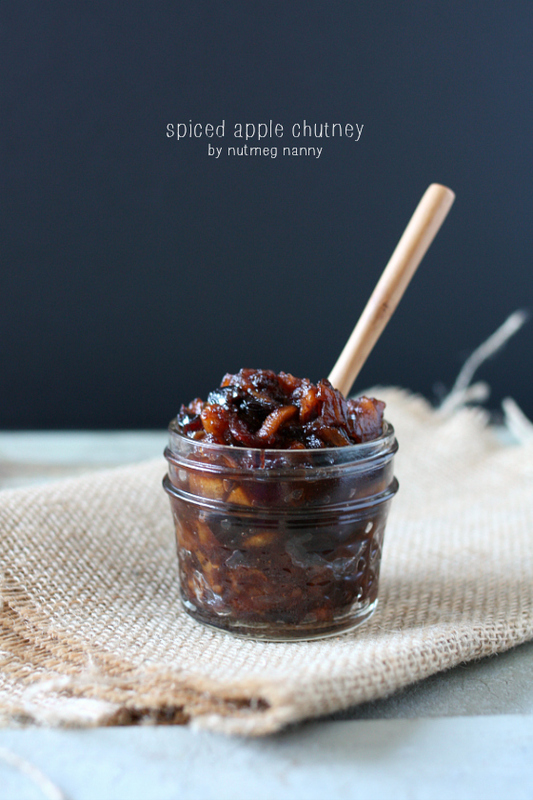 Sweet and spicy apple chutney by Nutmeg Nanny. It would be such a perfect compliment to so many main dishes this Fall! 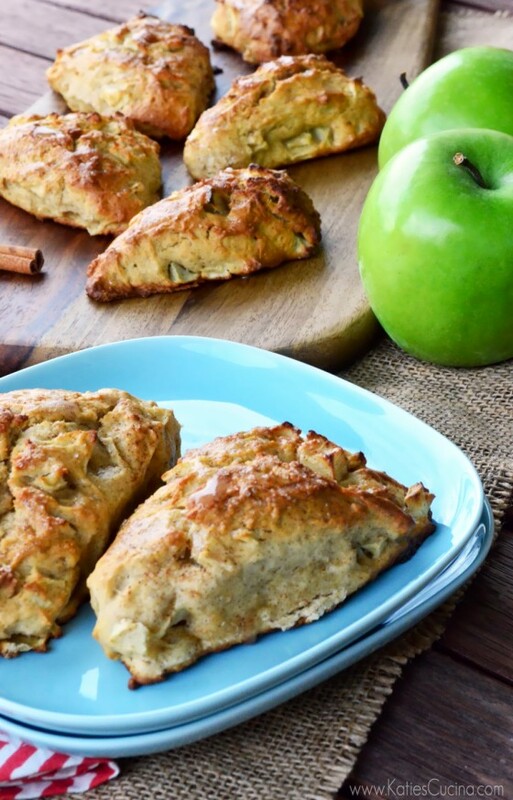 If you’ve never made a scone before, these apple cinnamon scones by Katie’s Cucina are the ones to start with. How could it get any better than apple cinnamon? Obviously I’m totally biased because duh… apple month! 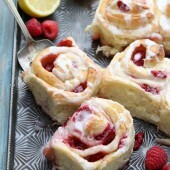 But seriously, I want these for breakfast and snack. So clearly it was almost completely breakfast week here on the blog. 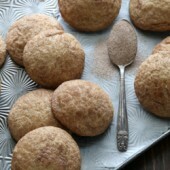 Bakeaholic Mama and I are both New England girls, so it makes total sense why we’d both have cider donuts on the brain! I’m not complaining. 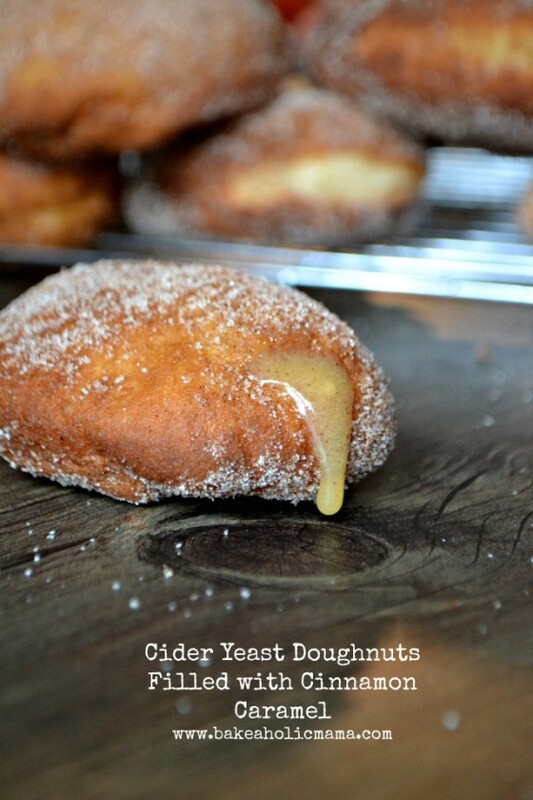 I only wish I could have tried these cider yeast donuts myself! Look at that cinnamon caramel filling. Wow! 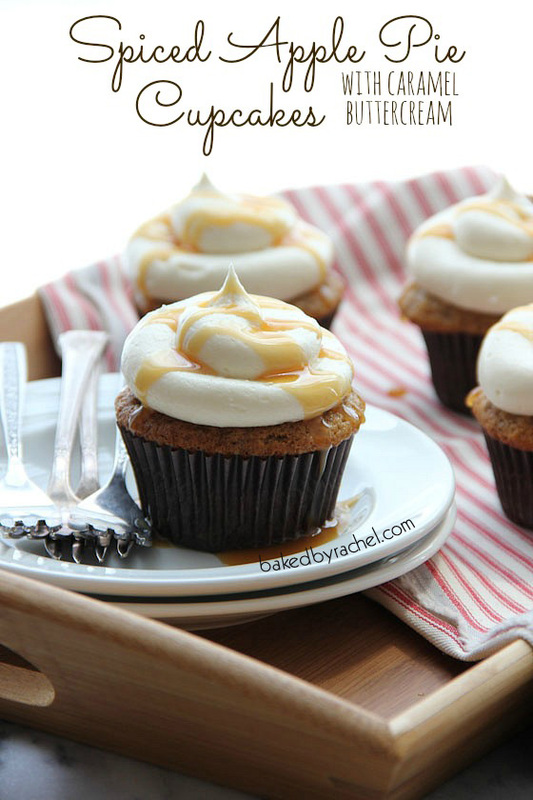 I finished the week up with these seriously out of this world spiced apple pie cupcakes. They feature a caramel buttercream frosting and an apple pie center (you’ll have to click over to see that)! Not to mention that I determined homemade (these!) 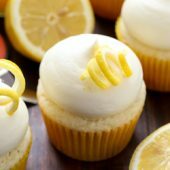 are way better than box spiced cake mix! And last but not least… another giveaway!! 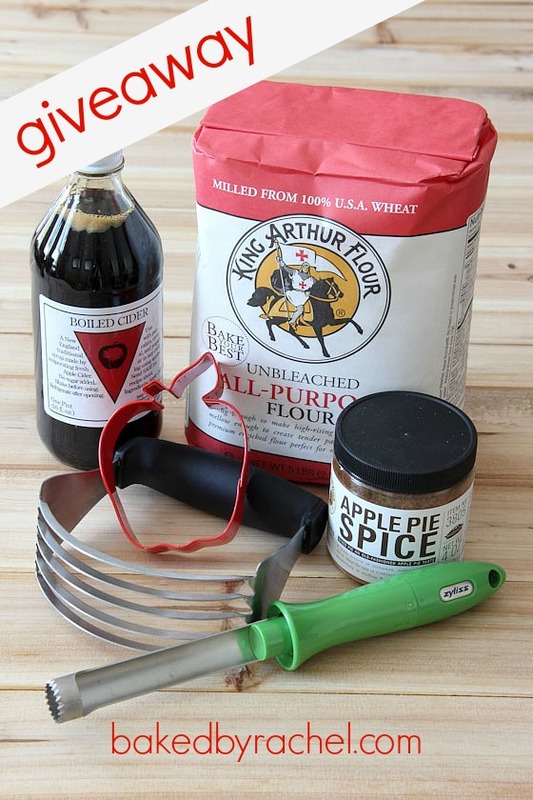 Courtesy of King Arthur Flour, you have a chance to win everything you see shown in the photo above. Click on over and enter for a chance to win this Fall baking package! 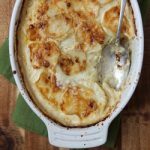 I look forward to apple season every year, and love that apples are so versatile in both sweet and savory dishes. 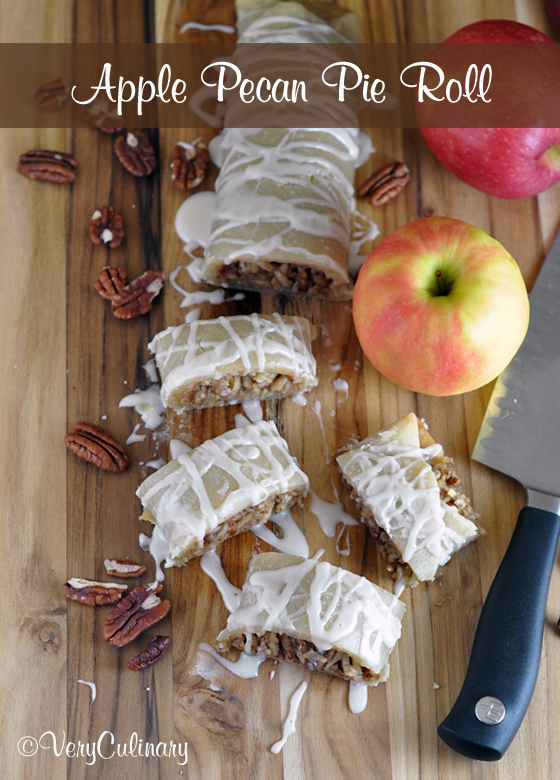 What a great line-up of apple recipes! Hi, I’m Sophie. I’m fourteen years-old and live in Oklahoma City. Your blog is great! I love the apple a day them. So cool! 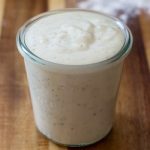 I am new to the blogging world and am experimenting with my own food blog. 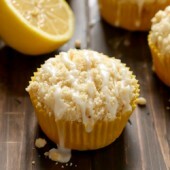 Your recipes look delicious; like the spiced apple pie cupcakes, YUM! Oh my goodness!! What a post of perfect apple goodness!! I don’t think I’ve met anything apple that I didn’t love and can see myself making (and perhaps not sharing…!) each and every one of these recipes!